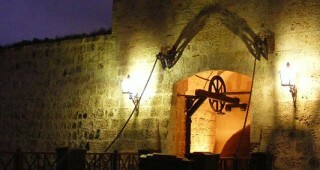 It has a typical four-point Renaissance ground plan manifestly influenced by those being built in Spain in the Medieval Ages. 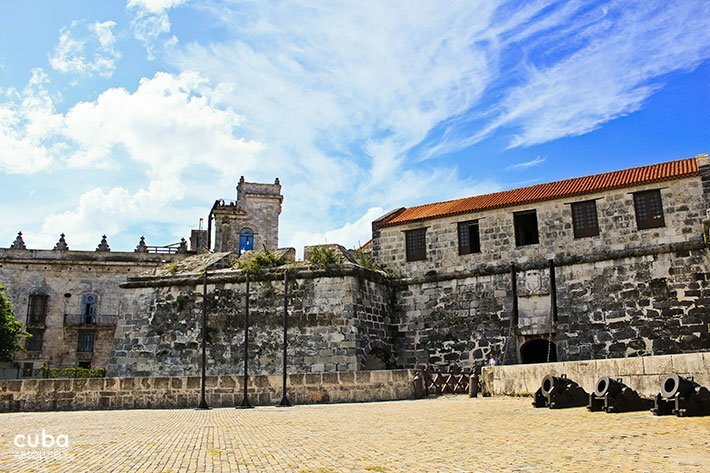 Its structure is composed of thick 10-meter-tall limestone walls with large embrasures; a drawbridge was used to separate the fortress from the defensive moat—shaped like a four-leaf clover—that surrounds the castle and ran alongside the rocks and the sea (which at the time edged up to the base of the castle; today’s Avenida del Puerto is built on later landfill). 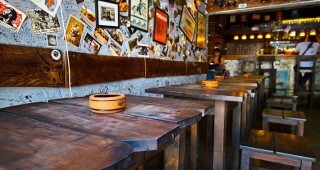 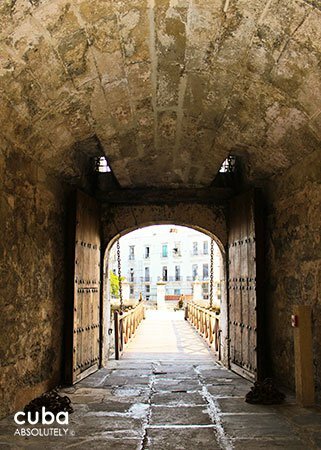 During its early years, this was the place where the Crown’s gold was deposited on transit to Spain. 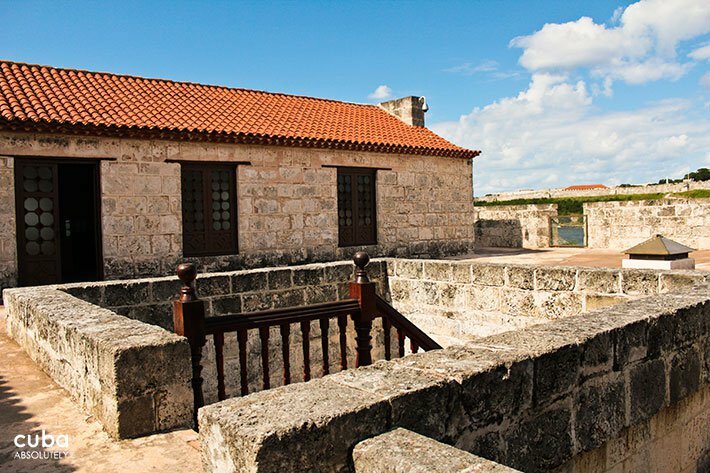 After it was completed, a floor was added to accommodate the Captain General, Cuba’s governor (this was their formal residence until 1762). 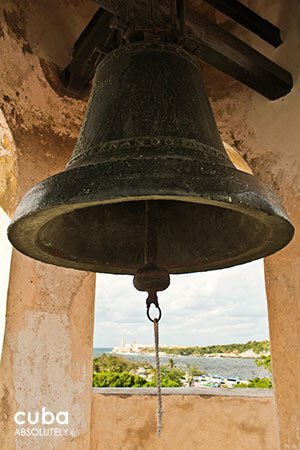 In 1632, a bell tower was erected and two years later it was crowned by La Giraldilla, a weathervane in the form of a woman thought to be Doña Inés de Bobadilla, Governor of Cuba and wife of explorer Hernando de Soto. 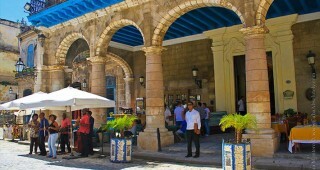 Seville in Spain had a Christianized vane, given that it was of Moorish origin, called La Giralda and it is very probable that La Giraldilla is a replica of the one in Seville, which also served to welcome incoming boats. 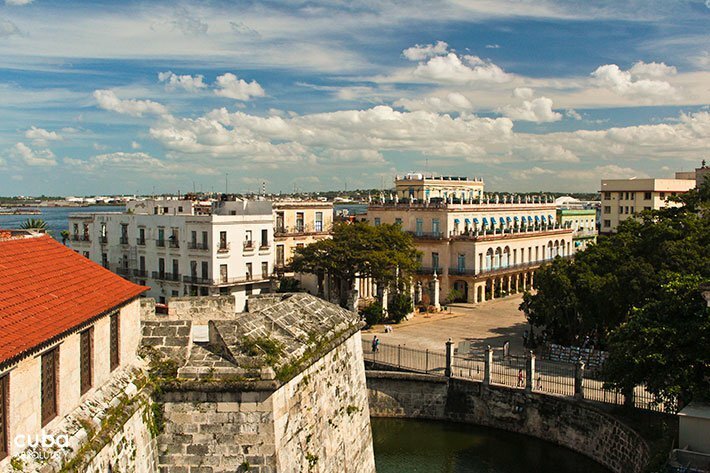 Whatever the story behind it, La Giraldilla has come to symbolize the city of Havana and is also the emblem for Havana Club rum. 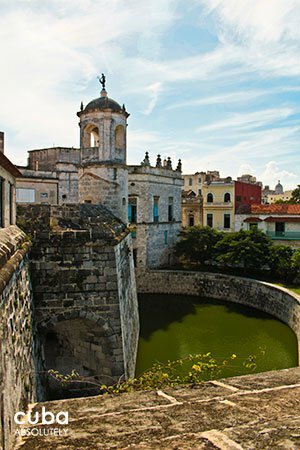 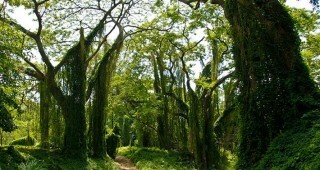 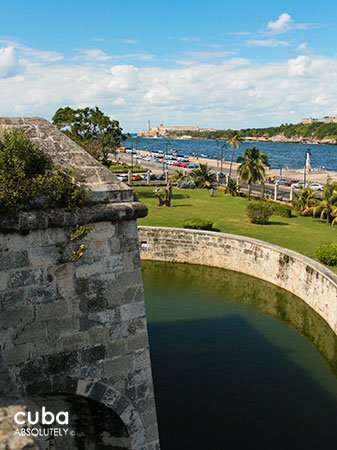 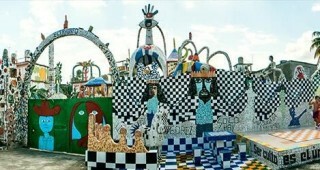 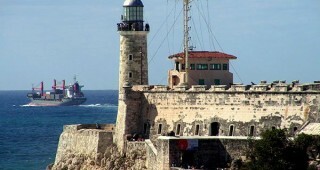 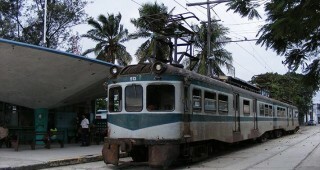 As part of Old Havana’s historical center, the fortress was listed as UNESCO World Heritage Site in 1982. 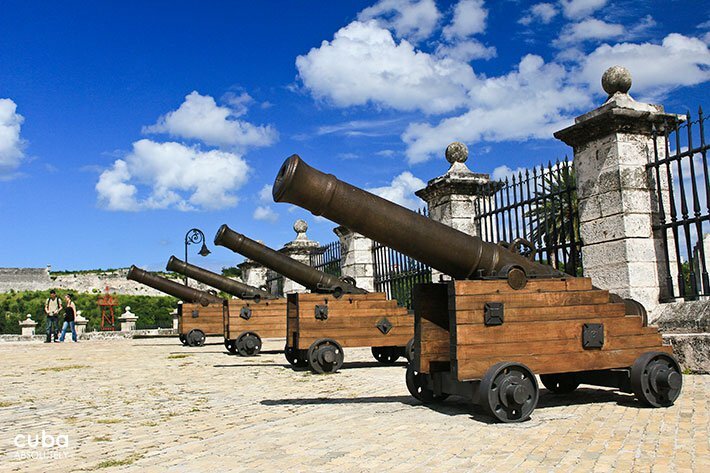 The forecourt is replete with cannons and mortars. 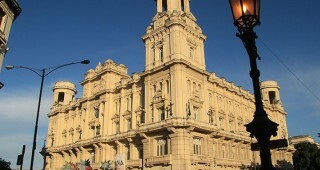 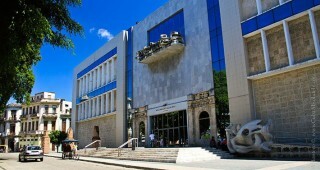 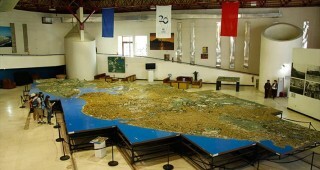 Beyond the drawbridge, the castle today houses one of Havana’s finest museums—the Museo de Navegación (Navigation Museum). 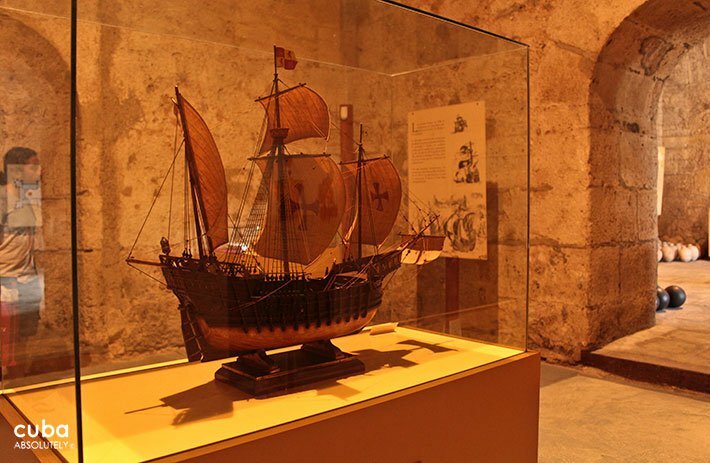 This stupendous collection includes model ships, from Roman triremes to an astounding 3-miter-long cut-away model of the Santisima Trinidad—a Spanish 130-cannon galleon built in Havana in 1769 and sunk during the Battle of Tragalgar in 1805. 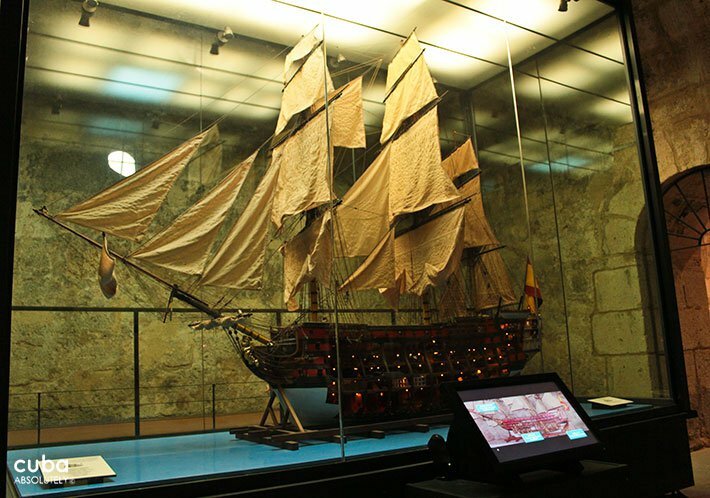 The museum also boasts an exceptional collection of treasure from sunken galleons.